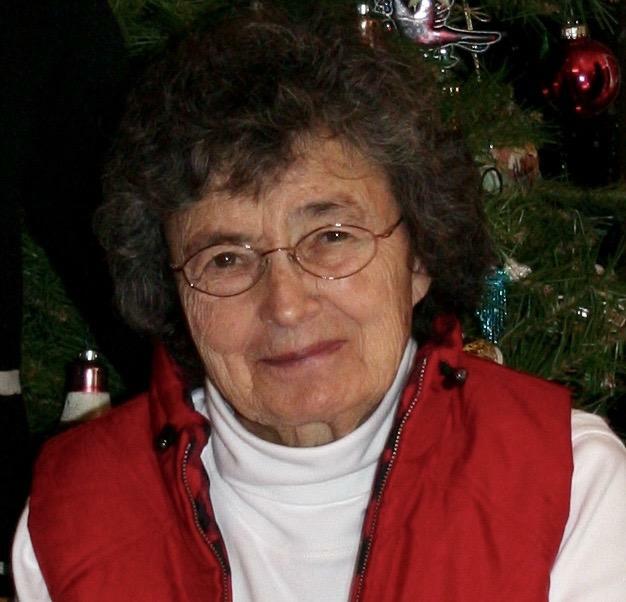 Adah Fowler, 89, passed away at Spring Valley Living in Spring Valley, MN on April 8, 2019. Funeral services for Adah Fowler will be held at 11:00 a.m. on Monday, April 15, 2019, at Our Savior’s Lutheran Church in Spring Valley with Pastor Betsy Dartt and Pastor Mark VanHouse officiating. Burial will follow in Our Savior’s Lutheran Cemetery. Visitation will be held from 4-7 p.m. on Sunday, April 14 at Our Savior’s Lutheran Church and will continue for one hour prior to the service at the church on Monday. Hindt-Hudek Funeral Home is assisting the family. Adah Sylvia Fowler was born March 12, 1930 to Tom and Cora (Sveen) Hadoff in rural Whalan, MN. She graduated from Lanesboro High School. She married Hugh “Sam” Fowler on September 16, 1950 where they lived and farmed outside of Spring Valley. Adah was a homemaker and loved to garden, bake, sew, crochet and antique. At the age of 67 she opened Adah’s Treasures, an antique shop. Adah loved spending time with her grandchildren and great-grandchildren. She enjoyed fishing with Sam and they spent summers in Northern Minnesota. She was a lifelong member of Our Savior’s Lutheran Church where she enjoyed many activities including attending Circle, Doing Day, and playing cards. Adah is survived by her children Thomas (Sue) Fowler of Spring Valley, MN, Jeffrey (Kathy) of Spring Valley, MN, Cheryl Arnold of Alexandria, MN, Sheila (Rick) Janzen of Byron, MN; her grandchildren Terri (Fred) Liffrig, Missy (Brad) Elliott, Matthew (Emily) Fowler, Joshua (Alicia) Lobdell, and Jessica (Jerome) Porter; 13 great-grandchildren; her sister Char (Sheldon) Gee and sisters-in-law Nancy (Ken) Fuhrman, Linda Fowler, and Betty Hadoff; and many nieces and nephews. She is preceded in death by her husband Sam Fowler, grandson Christopher Fowler, brother Truman, sisters Imogene, Genevieve, and an infant sister Shirley. In lieu of flowers, memorials are preferred to Our Savior’s Lutheran Church or Good Earth Village.